Some Jews get wasted pretty easy. 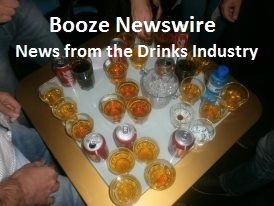 Ever wonder why some people can hold their liquor extremely well as where others get drunk from a few glasses? Well, we already explained why some Asians get drunk very fast and why alcoholism is such a big problem among American Indians. Now it’s time to tackle another question: why do Jews hardly drink? It’s a bit of a tough one since we are dealing with both a race and a religion. In practice however both of them in many cases go hand in hand. The holy writings of the Jewish religion (or Judaism) the Torah allows alcohol as long as it’s kosher but demands moderation. Besides that many Jews – like East Asians – genetically have a lower tolerance for alcohol, which makes it impossible to drink like for example Caucasians. The question is now if these two facts are related. The fact that Jewish people don’t drink is an absolute myth. Just think of the words l’chaim (to life), which is the traditional cheers when Jews raise their glasses together. However they are not really known for their outstanding drinking skills or having major problems with alcohol, depends on how you look at it. Even though wine is also known as ‘the King of Beverages’ and in the Torah is said to “bring joy to God and man”. 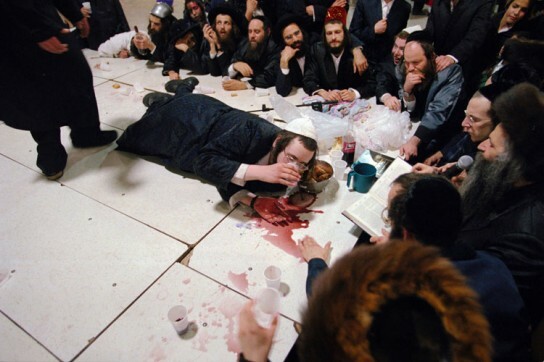 Wine also plays a part in many traditional Jewish rituals. So why this moderation? The answer possibly lies in both the religion and genes of the Jews. Let’s start with the Jewish religion. First of all the drinks must be kosher, no matter if it’s wine, whisky or any other drink. The rules on what’s kosher and not are quite difficult, so people are adviced to consult their local rabbi before drinking. Getting drunk on a regular basis is considered absolutely not done here and praying drunk is strictly forbidden. A well known Jewish saying states “a shicker is a goy” which means a drunkard is a non-Jew. The traditional thought behind this saying is that heavy drinking is for uneducated people and that the ones who drink hard and often are not improving themselves. The Torah also speaks of Noah who ‘disgraced himself by excessive wine consumption’. The two sons of Aaron named Nadab and Abihu were consumed by a fire from heaven when they entered a tabernacle drunk to pray. With all this in mind it’s easy to understand how their faith or social pressure keeps many Jews from drinking. In many communities just the reputation of being addicted to alcohol can make one outcast. So this raises the old question of the chicken and the egg. Do Jewish people nowadays stand alcohol not as well because they have practiced sobriety for many centuries and is this a case of evolution of the human body? Or is the call for moderation in their religion a direct effect from the fact that a lot of Jews couldn’t handle heavy drinking? We don’t have an answer but both seem plausible. Sorry to leave you with an open ending but at least it leaves the door wide open for discussion. In the end we want to share one promising development with you. For ages the Hebrew language had no word for ‘hangover’ since there was no real use for it. But that changed a few years ago when the Academy of Hebrew Language in Tel Aviv came up with hamarmoret. A clear sign things are changing for the better. Fascinating. I’d like to do some more research on the evolution of the human body, as you mention here. And, since it’s been said that the “Koreans are the Jews of the East,” I’m especially piqued by your recent musings. I have not heard this saying before. Is it an Asian one? Well, my Caucasian mom told me that. So I’m not sure. I was going to google it, so I could give you an intelligent answer, but I didn’t. (google it, or give you an intelligent answer). I’ll ask my white momma. Yes please do so… I think it has more to do with the fact that Koreans for centuries were a people who sailed the seas making a living with trading. As where for example Chinese were in general more into agriculture. Or they relied on people like Koreans and Arabs to bring rare products to them. But I’m curious what your mom has to say. 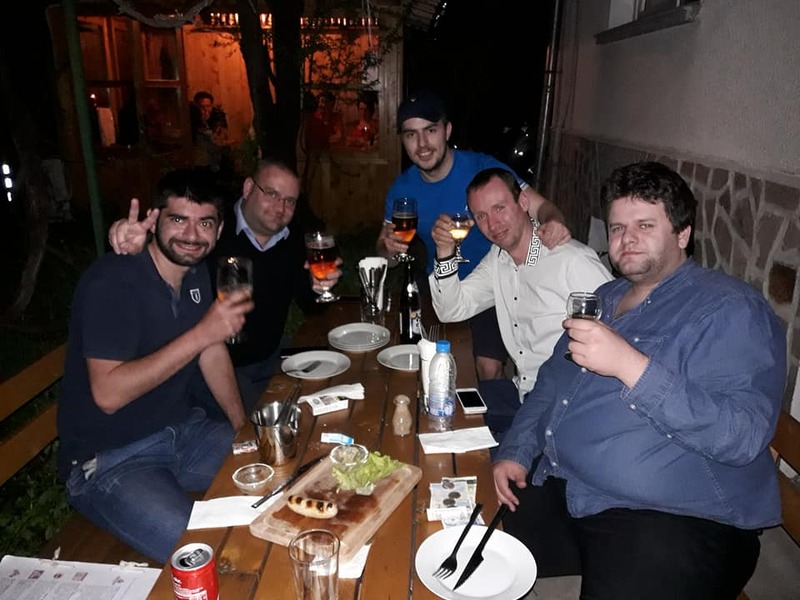 Jews are a Mediterranean people, like the rest of the Levantines, the Greeks, and the Italians – all of whom are known to have lower alcohol tolerance and a moderate drinking culture, if at all. An unfortunate fact. I’ve been to Greece and Italy and love both countries but I’m not too impressed by their drinking. Both are more food cultures. When an antisemite writes about Jews he calls the Jewish Bible – Tora for his ambitions and demonstration of the differences.Solomon`s songs show clear the relation of the Jews and the wine.About some indefinite mutations of the all Jews, including blacks ones,the generalization is unlawful. Who is antisemitic? When talking about the Jewish religion why not call the Old Testament Tora? Please stop seeking bad intentions where there are none. Judaism is a religion, not a race. Over the centuries the original “Hebrews” were flung far into the Diaspora and some intermarriage, or at least non genetically Hebrew offspring, occurred. There are European, Mediterranean, African and Asian Jews, and Jews come in all sizes, heights, hair and eye colors and nose sizes. To call Jews a race is an anti-semitic view of the peoples and the religion. The majority of the Jewish people I grew up around were NYC transplants to lucrative jobs in DC. Not one wasn’t a heavy drinker and practically all their kids fooled around with drugs as well. Mostly cocaine and MJ. The work culture in DC is that of “functional” alcoholics. Not one could get through the day without liquor and a shrink. I don’t know where you found moderate Jewish folk. Hmmm quite interesting. In Europe they are not known as drinkers. Quite the opposite really. In the future I would like to write a story on their Purim festival, when apparently they do get smashed a lot. Purim is coming up February 28. Why don’t you go to a synagogue and see whether “they” do get smashed a lot. There are drinkers and non-drinkers among the Jewish people. Some can hold their alcohol, others not. I don’t know what people here consider “moderate” drinking. Jews are an ethnoreligious group like Druze, Samaritans, Kurds and Sikhs. I got to wonder where you get this info or you’re hanging around with a lot of Russian Jews – the only group that can overcome the genetic variant. Or they don’t have the variant. Not every Jew does. Just like not every Asian gets Asian flush.